This may well be the least “academic” question I’ve ever answered on this blog, mostly because this particular question has little to do with facts and everything to do with fear. And fear, by its very nature, isn’t always rational. So what exactly is so scary about strategy? Easy – strategy represents a future that is not yet known. And nothing scares us more than the unknown. Look – I don’t want to get too far afield here, but if you think about anything that makes you even remotely uncomfortable, it probably has something to do with either uncertainty or death – which some might argue are actually one and the same. So, yeah, we’re uncomfortable when we’re unsure. 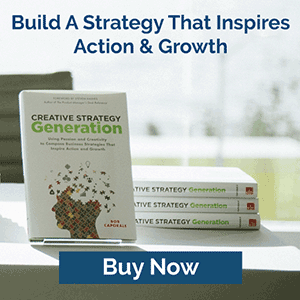 And that’s what strategy – especially good strategy – is really all about. No uncertainty there. I know it, I can prove it, and the fact that it is true doesn’t make me the least bit uncomfortable. Similarly, if you ask me how much revenue and profit my business has made over the past 5 years (assuming I have that information available to me), committing to the answer doesn’t make me the least bit uncomfortable. Again, I know it, I can prove it, and, even if the results weren’t exactly what I wanted to achieve, I can draw some level of comfort from the fact that they did in fact occur. More simply stated – if something already happened, we aren’t afraid of it. We may be afraid of it happening again, but that fear, as with all fear, resides in the future, not in the past. Said differently, risk is the difference between what you know and what you don’t know. The greater the gap between those two variables, the greater the risk, and the greater our fear will be. Risk equals fear, and fear equals discomfort. So, in a nutshell, that’s why strategy makes us uncomfortable. All of this begs the question of how much discomfort should we be willing to accept when developing our strategies. Well, you might think the obvious answer would be to mitigate your risk as much as possible, which you would do by reducing the gap between the unknown and the known. Some companies will try to do this by increasing the “known” side of the strategic equation – that is, they will try to base their strategies on as much data and facts as possible. Other companies will mitigate their risk by decreasing the “unknown” side of the equation – that is, they will set objectives that can be achieved with a reasonable amount of certainty. Of course, neither of these are wrong answers, as long as those same companies accept the fact that they are unlikely to change very much of the world if they aren’t willing to increase the gap between what they know and what they don’t. The greater that gap, the greater the impact, and the greater the risk, and the greater the fear, and the greater the discomfort, and… well, you get the picture. So, strategy is uncomfortable because it has to be uncomfortable if you want to have any kind of impact on the world. And if it isn’t uncomfortable, then you can pretty much expect to have little to no impact at all. I always liked that quote, if I do say so myself! Maybe this time around it will stick! So that wraps up 50 episodes and 50 blogs! Thank you for sticking with me and for listening to my opinions, ramblings, insights, or whatever you choose to call them! And there’s lots more to come. But, first, I’m going to take a little break – not because I need it, but because I’m working on some pretty big things to come and I’m getting ready to relaunch the show with a whole new strategy! 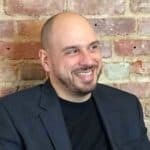 Bob Caporale is the author of Creative Strategy Generation and the host of the Dear Strategy podcast. You can learn more about his work by visiting bobcaporale.com. 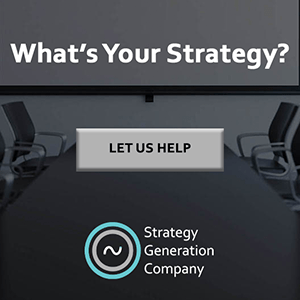 ← Dear Strategy: 051 Introducing… Strategy Generation Company!